A two drawer desktop file cabinet fits 5 x 8 paper and has original pushers. Solid quarter sawn oak with corner dovetail joints has a very good old finish, preserving lots of mars and stains for antique character, see photos. 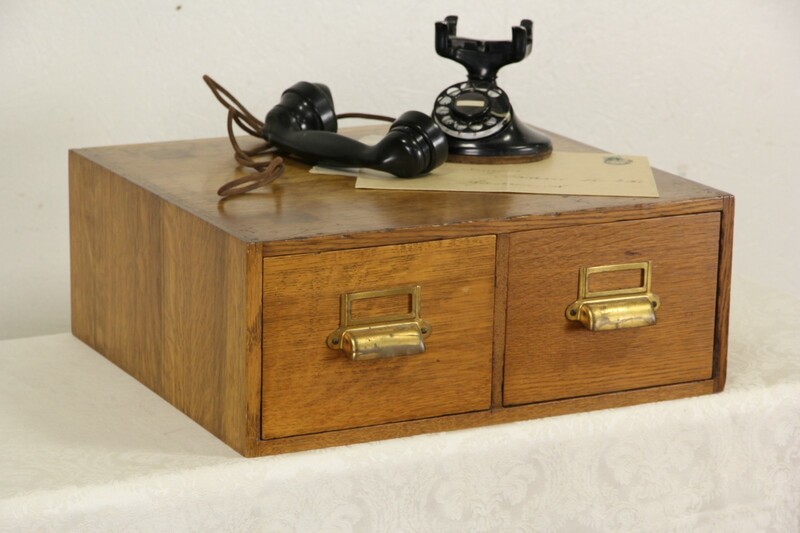 American made, this library or office furniture has original brass pulls and label holders. Size is 19 1/2" wide, 17" deep and 8" tall. Standard Shipping is $30 in the US.